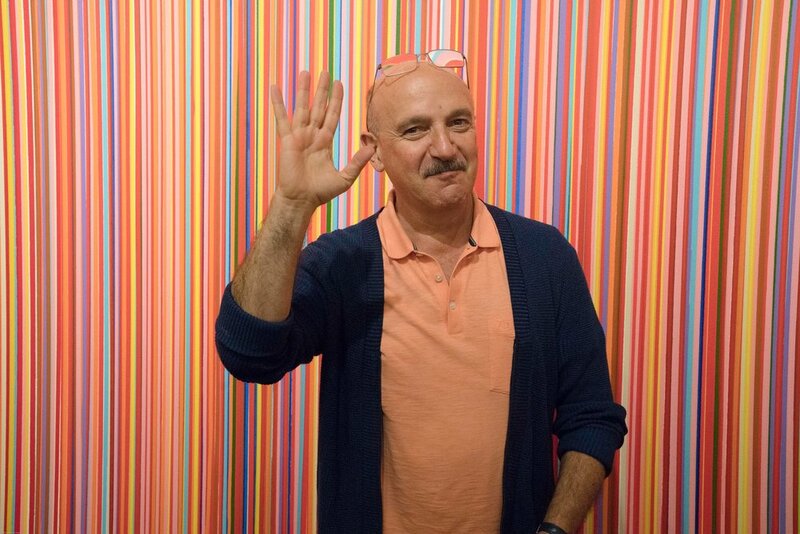 For more than 30 years, Edward Goldman has been art critic and host of “Art Talk,” a weekly program which airs prime-time Tuesday evenings during All Things Considered on LA’s largest NPR affiliate, KCRW 89.9 FM. Edward also contributes weekly art reports to the Huffington Post. Want to Get Weekly "Art Talk" Reports From Edward Goldman? One can never be too rich, too thin, or have too many museums. In 1998-1999, Edward appeared regularly as a commentator for the weekly TV program “Life & Times Tonight” on the LA Public Broadcasting Station KCET, where he served as the Arts and Culture Editor. In 2005, Edward began leading a seminar on art collecting at Otis College of Art and Design. The seminar became so popular that Edward launched his own regular series of classes, "The Fine Art of Art Collecting." Through these classes, participants have privileged access to artist studios, private collectors’ homes, art galleries, and museum exhibitions, where they engage in informal, spirited conversations about art and culture. Edward has also written reviews for numerous art publications and served as a panelist, moderator and speaker for various museums and arts organizations. Sign up to get the latest art news from Edward Goldman. © 2017 Copyright Edward Goldman.